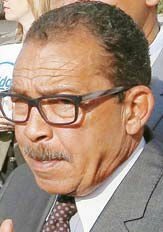 Los Angeles City Council President Herb Wesson has officially apologized for his previous accusation against The Korea Daily regarding releasing a false report. On June 8, the city council president met with The Korea Daily, where he admitted that his accusation against the media was not true. “I will put more effort to keep a genial relationship with Korean-American media,” he added. When The Korea Daily asked for the grounds for the accusation, the spokeswoman sent links to news articles to SBS International. Regarding this, the media outlet asked for an official statement, to which Council President Wesson admitted that Spokeswoman Rodriguez made a claim not based on truth. Meanwhile, The Korea Daily also requested for an official letter of apology regarding KANA and Journalists Association.